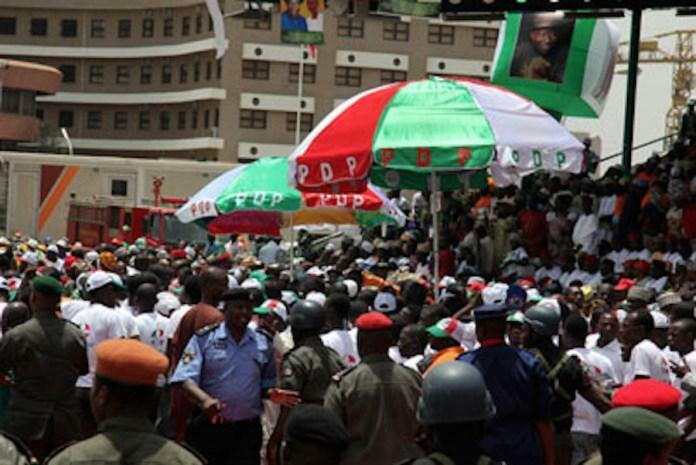 consensus candidate in today’s elective national convention of the PDP taking place at the Eagle Square in Abuja. A statement issued by on one the aspirants and former Oyo State governor, Rashidi Ladoja, said they had decided to step down for Adeniran. The statement reads: “At the close of nominations, seven (7) aspirants from the Southwest Zone obtained and returned nomination forms for the position of the National Chairman of our great party, the Peoples Democratic Party (PDP). “The Northern stakeholders went to the extent of stating clearly in a communique, after their meeting, their preference for a South West candidate. “To reciprocate these laudable gestures, meetings of the seven (7) aspirants were held with Senator Rashidi Ladoja as the convener on Wednesday 6th, Thursday 7th, Friday 8th and Saturday 9th December, 2017 with the sole aim of agreeing to a consensus candidate. We all agreed that the chances of one person winning are better than those of seven people who are likely to divide the votes coming to the zone. “Since then, Mr. Jimi Agbaje, Chief Olabode George, Senator Rashidi Ladoja and Mr. Olusegun Aderemi have withdrawn from the race.